What the Heck is a Pierog? Back in May, one of my dear friends and I were in desperate need of a girls night. She had just gotten married and learned she was putting her house on the market (sad face) to move to Atlanta and asked if I would mind come over to her place for dinner and drinks because a workman was coming out to check on a few things. No problem. If there’s food and wine, you know I’m there. Well now I felt really silly – and yet, I was 18 years old and grew up in Memphis, TN. 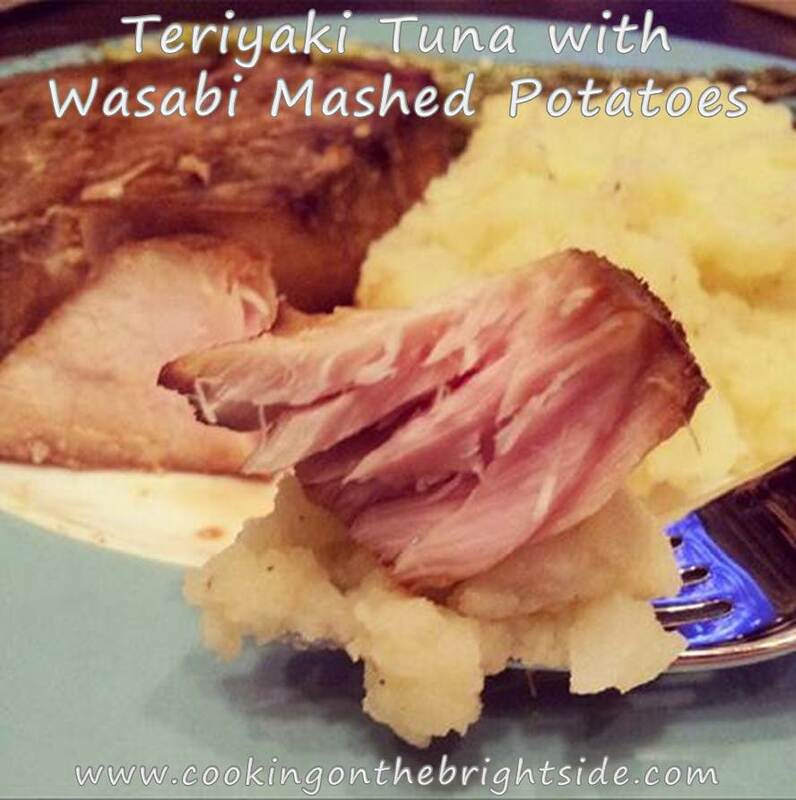 Not my fault I’d never seen “Pierogi” listed as a side dish to go with your slab of ribs! 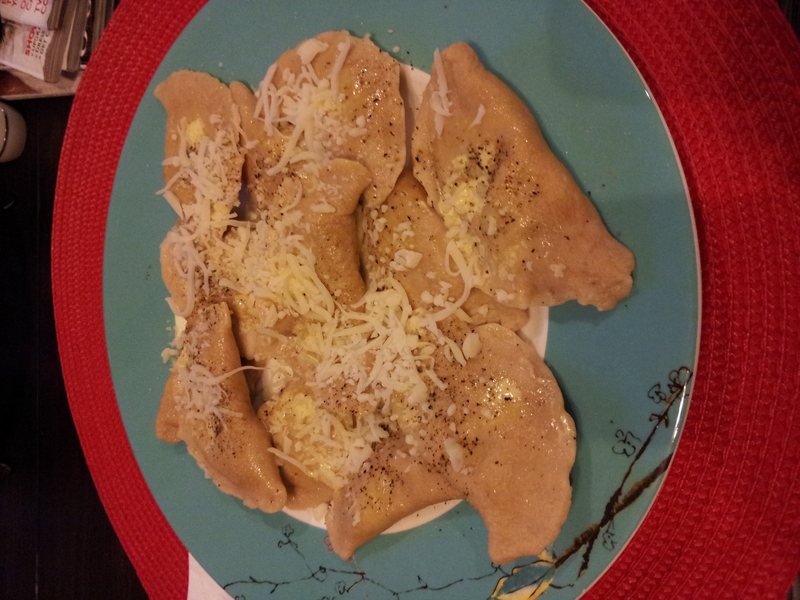 I learned that pierogi are basically pasta pockets that are filled with a mashed potato type filling that can also include cheese and/or onion. Oh, and they are delicious. 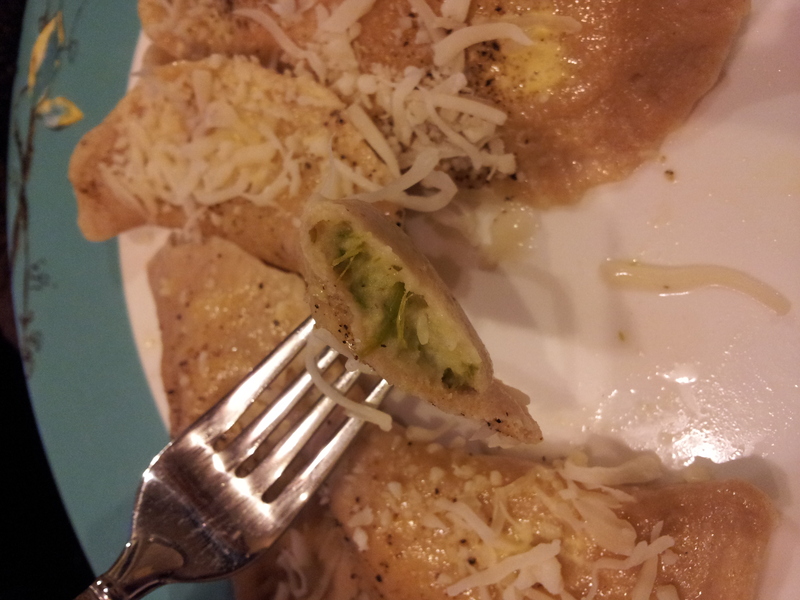 So back to my friends dinner – kielbasa and pierogi. Of course it sounded delicious. 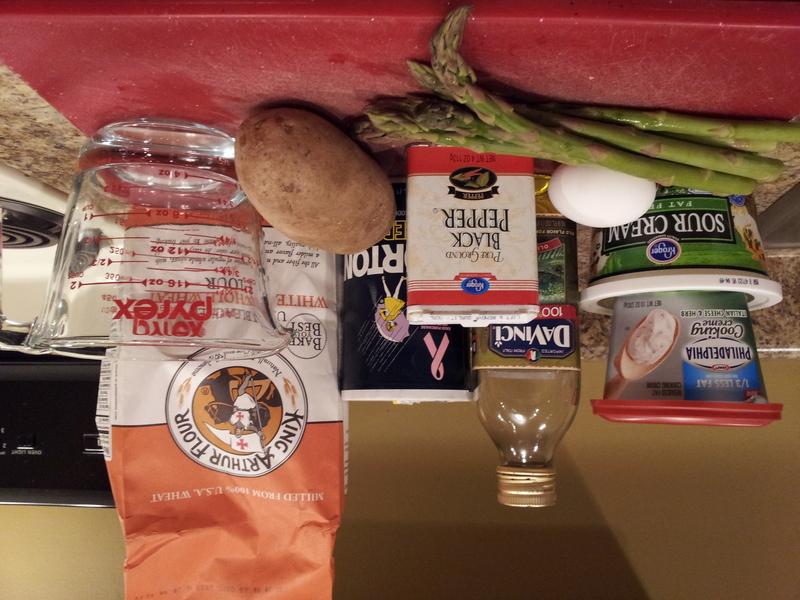 A – I knew all of those ingredients and liked all of them. B – I was intrigued to see how this would play out. 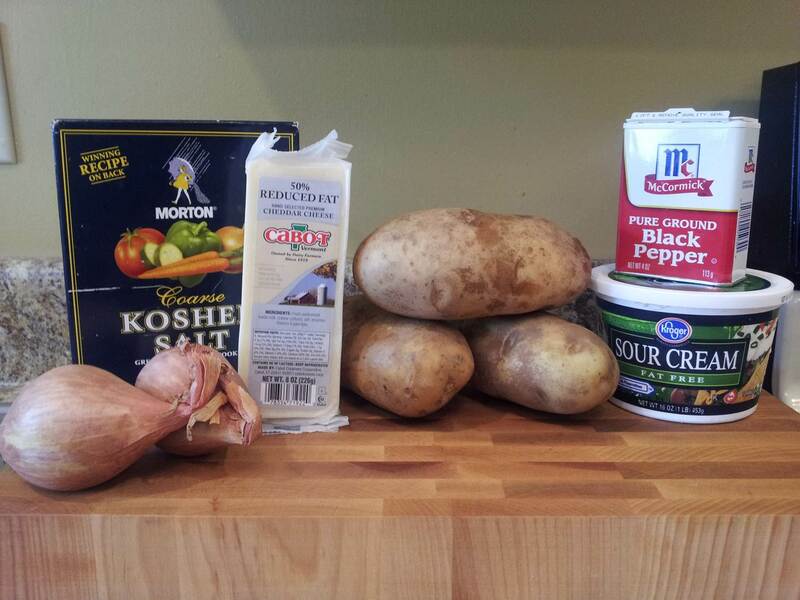 mainly because I forgot pierogi existed in the aisles of my neighborhood grocery store. Now he requests it, which I’m totally fine with because it’s super simple! I even figured out how to “lighten it up” for the good ol’ diet! It’s really handy for the nights when we have a function or meeting to attend and get home a little later – because it’s so easy to throw together! Well, I (of course) decided to make it difficult. I mean, more difficult than boiling water and adding the frozen pierogi. 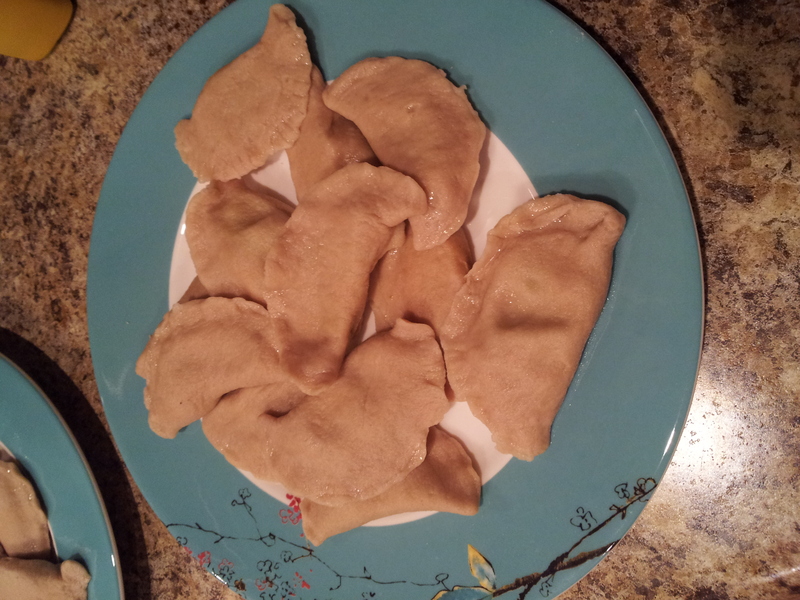 Yes, I decided to make homemade Pierogi! This definitely not something that you can throw together with an hour or two before company arrives – but it was a lot of fun and totally worth it when I dove into that first bite. 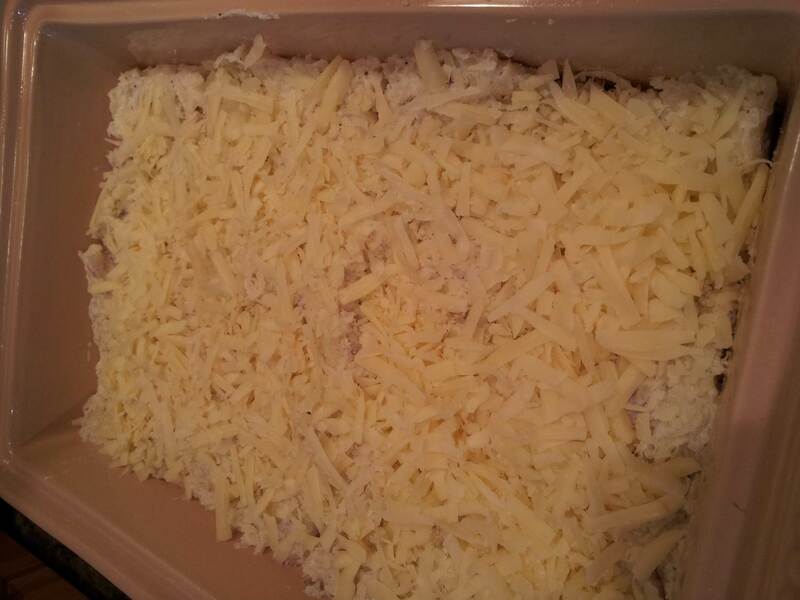 I plan on experimenting with the filling quite a bit in the future! 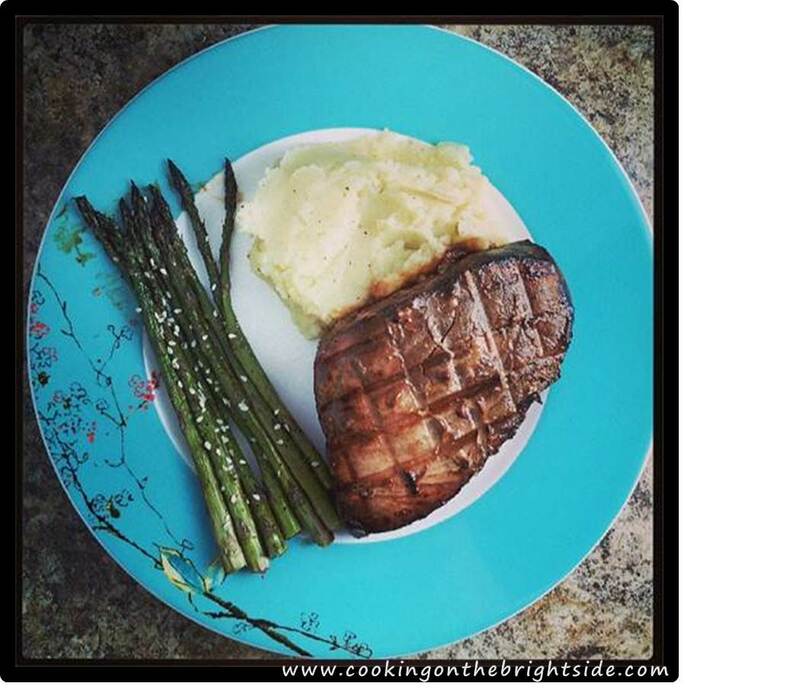 First, you need to roast your asparagus. Heat oven to 400, spray trimmed asparagus with olive oil and sprinkle with a little salt and pepper. Roast for 15-18 minutes and remove to cool. Chop roughly and set aside. In the meantime, you’ll need to boil your potato. 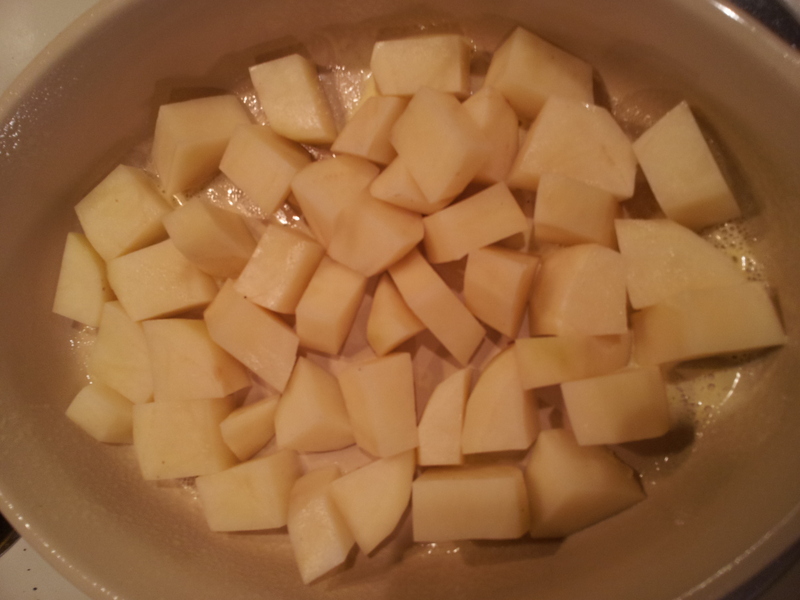 Peel and cube the potato and add to boiling water. Cook for about 10-12 minutes until tender. Drain and set aside. 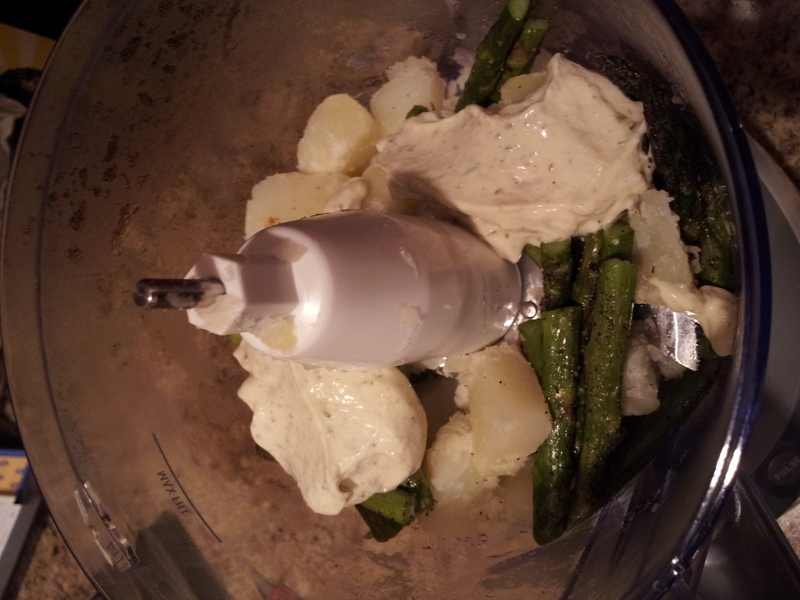 Add chopped asparagus, potato and cooking creme to a food processor. 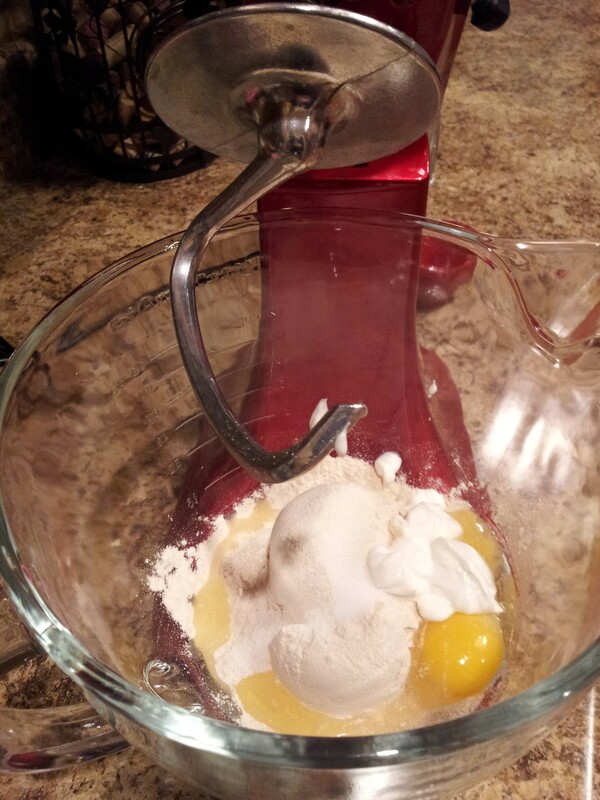 Sprinkle with 1/2 tsp. each salt and pepper. 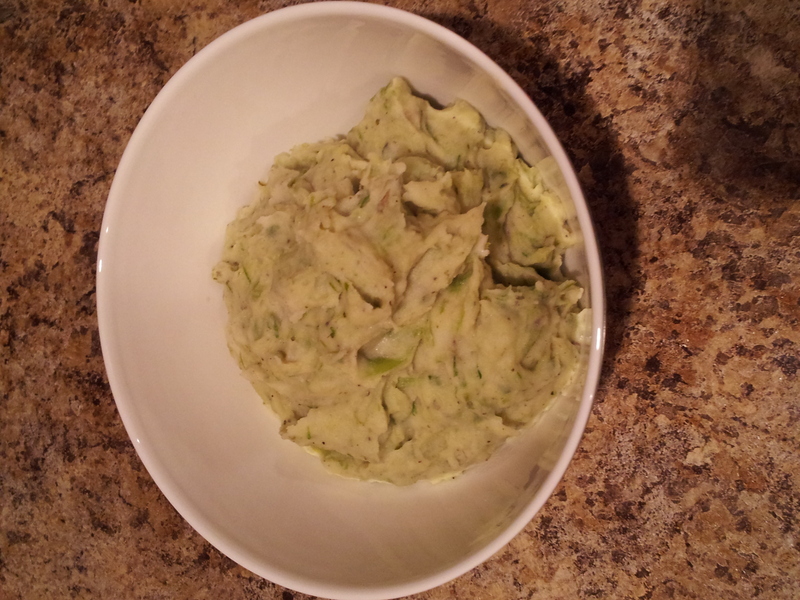 Pulse food processor until ingredients are well blended and relatively smooth. 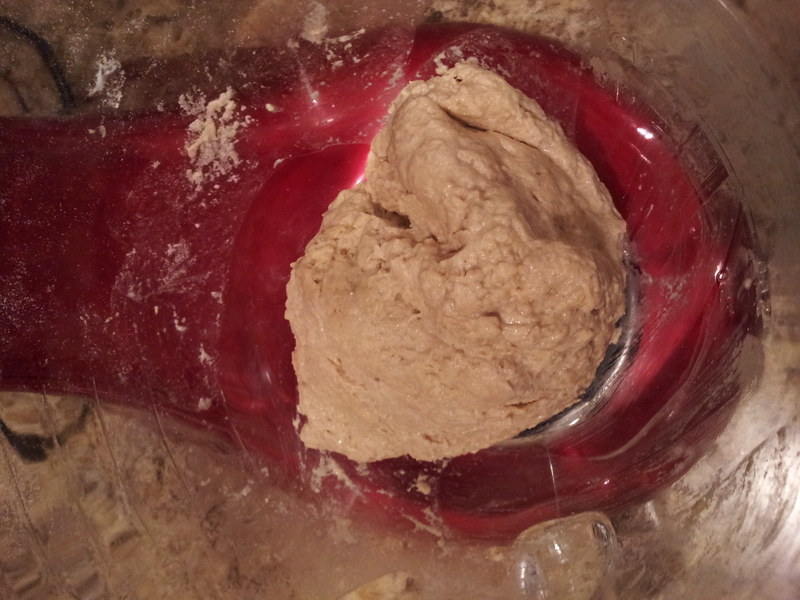 Remove dough and roll out to about 1/8 inch thick. 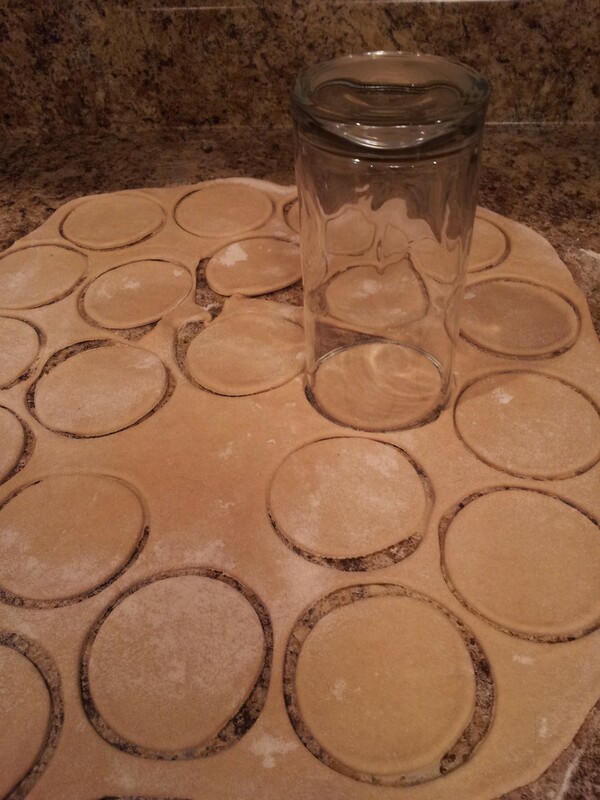 I used a glass that was about 3” diameter to cut my pierogi…you can do the same! Spoon about 1/2 or 1 Tbsp. of the filling in to the center of each circle. Bring edges together to form a crescent shape and pinch together, ensuring you have a good seal. 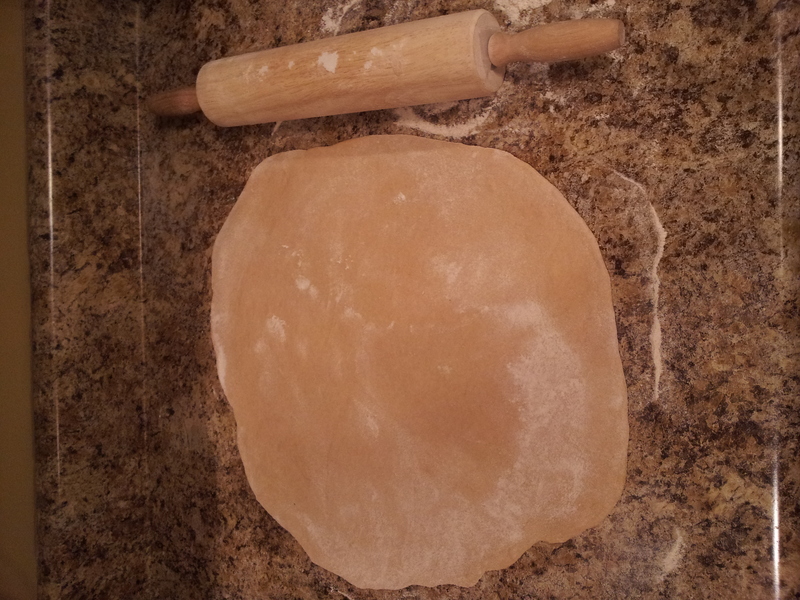 Repeat until all pierogi are formed. Bring a medium pot of water to a boil and add a pinch of salt. 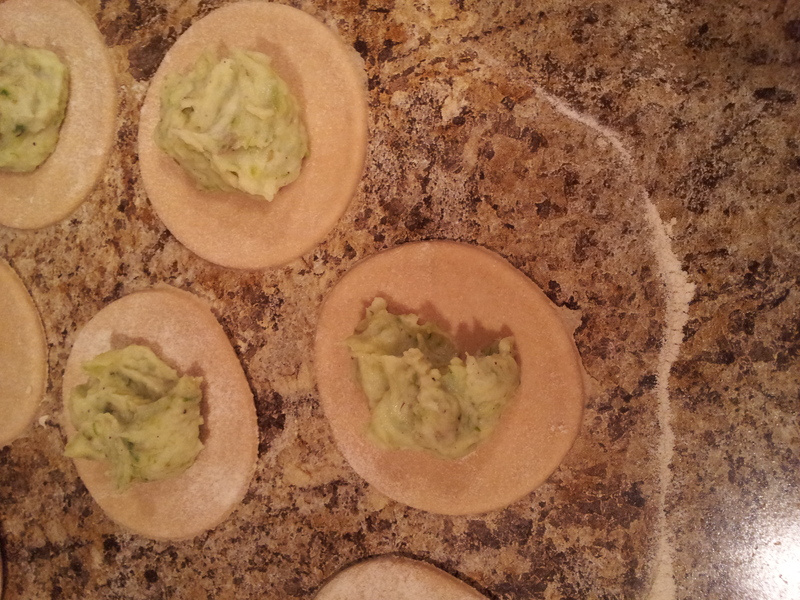 Add pierogi to the boiling water about 5-6 at a time. 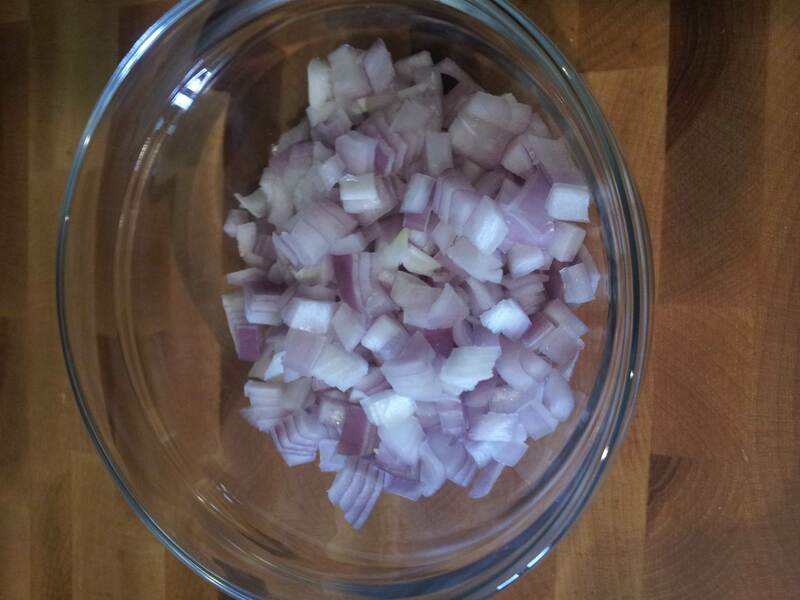 Boil 4-5 minutes, or until they float to the top, and remove with a slotted spoon. Repeat until all are done. Plate your pierogi and garnish with whatever you want! 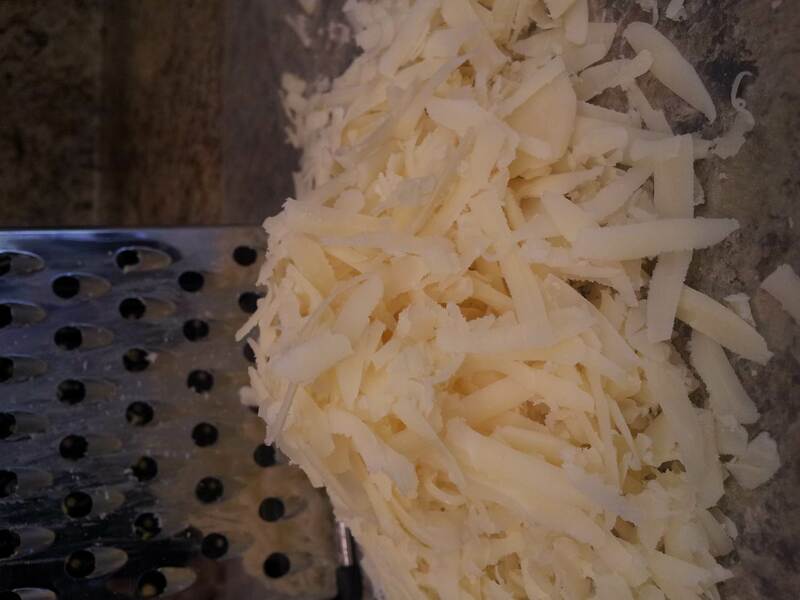 We usually do a little salt, pepper, butter spray and some shredded cheese (mozzarella here). 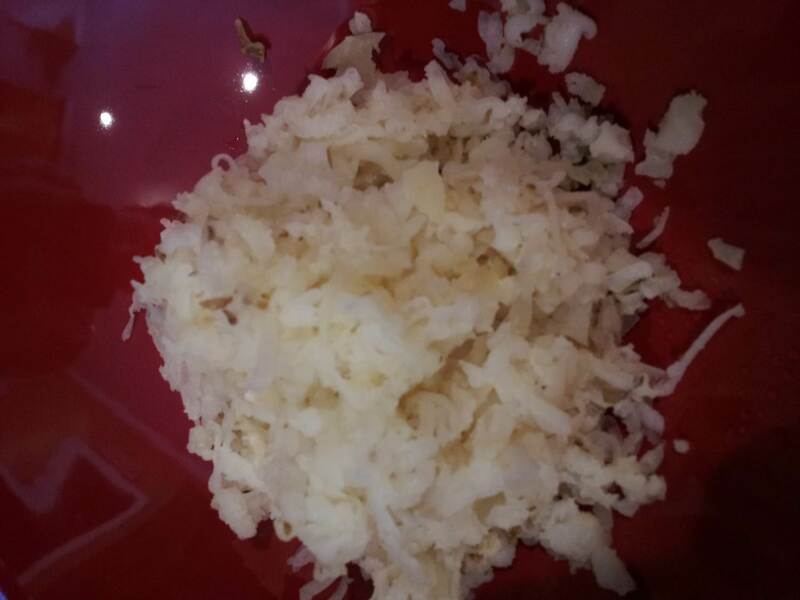 Oh, I am proud to inform you that while writing this post I learned something new – as I used to refer to the dish as “Pierogies”. 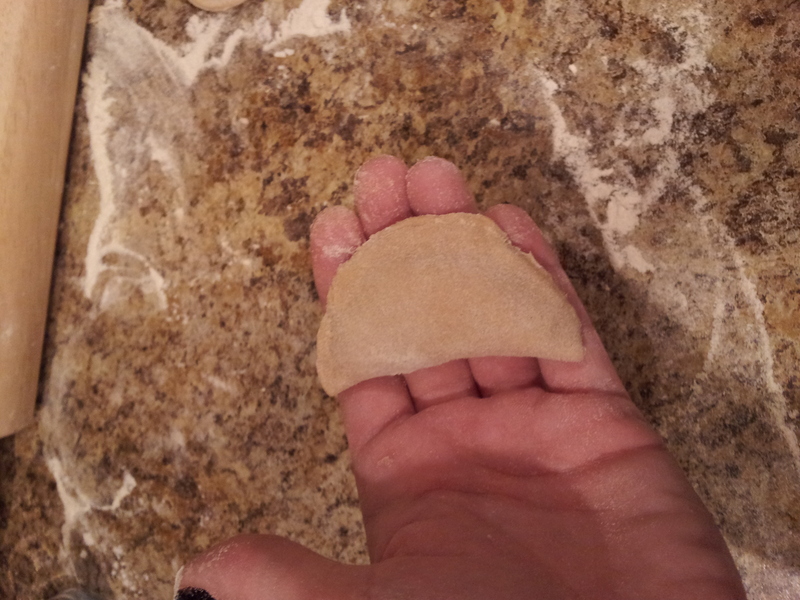 “Pierogi” is actually the plural and “Pierog” is the singular form. Like you could just have one of these? I cannot believe it is already March. Not just because it means that Spring is right around the corner – which is even more shocking considering we didn’t even have a true Winter here in Memphis. It’s amazing because today marks 5 months of marriage! t’s still hard to fathom that at this time last year, I had just found a dress, was still hunting for bridesmaids dresses, working out details of my bachelorette party, picking menus for the rehearsal dinner and reception – well, just stressing out to the max! This week has been so much fun because I’ve been on the other side of it! Two of my best friends are getting married this year – and their bachelorette parties are coming up. Not a huge deal for most – but a majority of my friends are out-of-town, so these gatherings are not just something to look forward to – they are EPIC weekends. Needless to say, I’ve been a little distracted! Distracted enough to forget about you? Absolutely not! 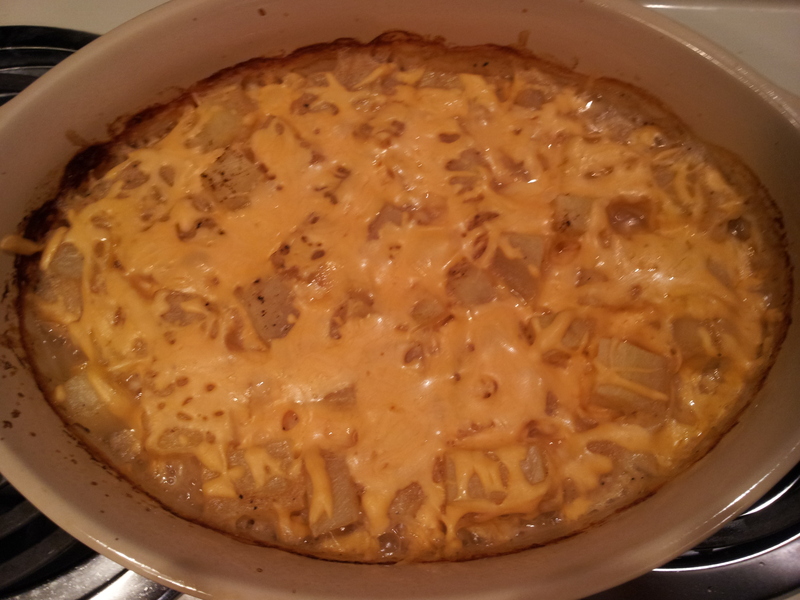 I realized I have been posted a lot of main course items and it was probably about time to throw in a delicious side dish. Because let’s face it – that chicken/turkey/shrimp/beef isn’t going to fill you up! 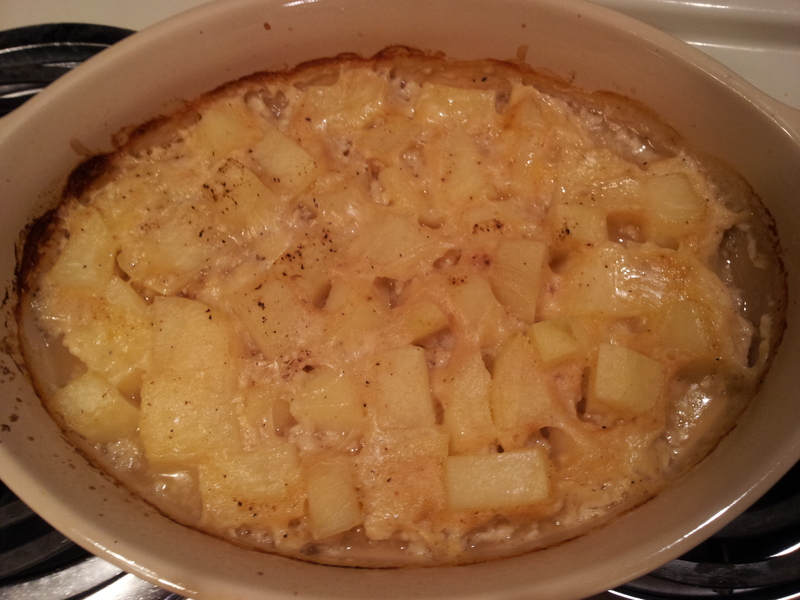 Potatoes are probably my favorite side dish. 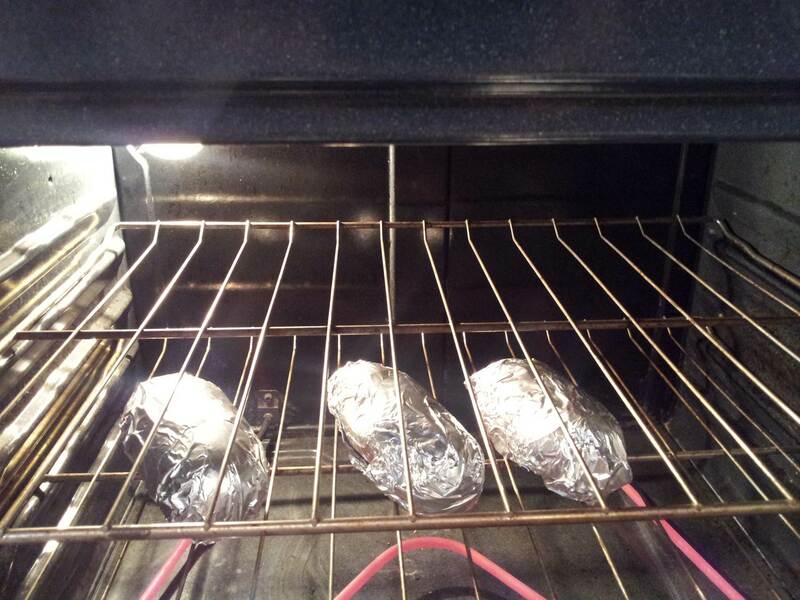 I love a good baked potato – and that’s even good enough for my dinner sometimes! But remember when I started weight watchers, I said I didn’t want to deprive myself of anything I was craving? Well, I crave french fries. 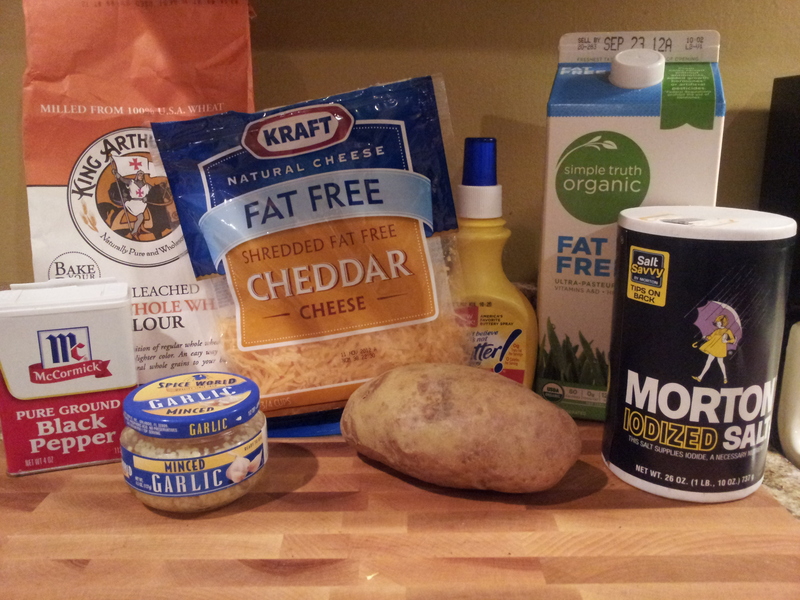 Enter – oven baked french fries. Except I take them up a notch with a little Ranch seasoning. Tantalizing to your tastebuds…which is good. Right? 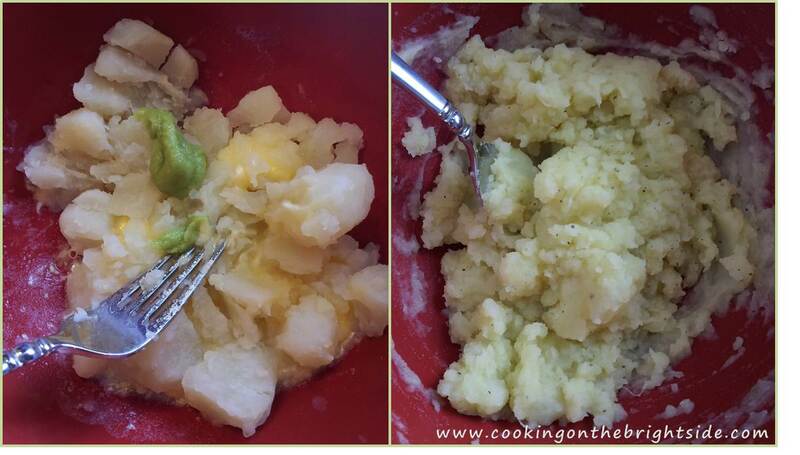 Begin by scrubbing your potato. Then cut it in half. 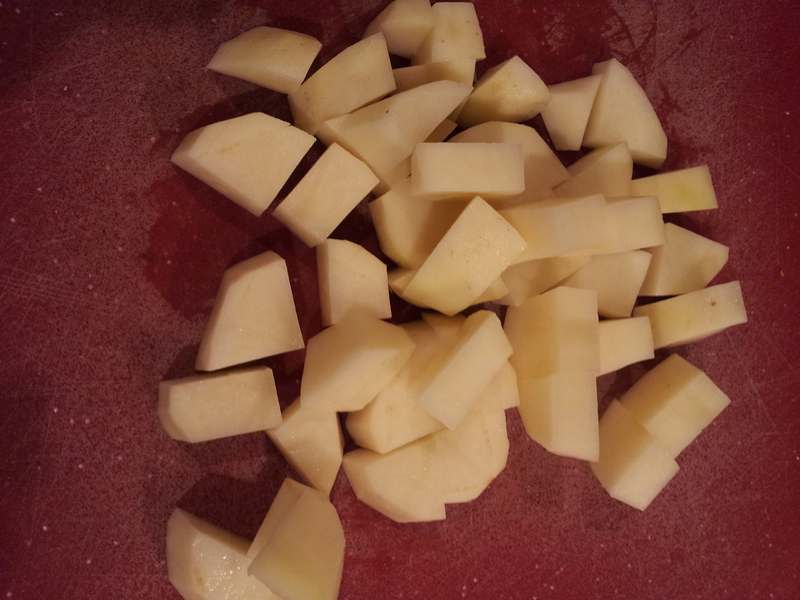 Then stand up each half and make two downward cuts, diving your potato into 3 pieces. Cut each piece into about 1/4 inch rectangles, giving you that “fry” shape. Repeat with other half. 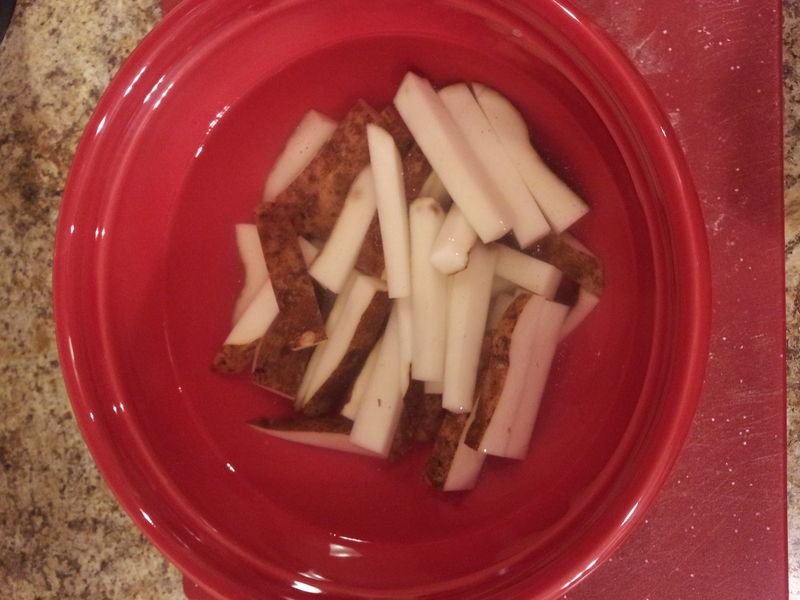 Soak the raw fries in water. 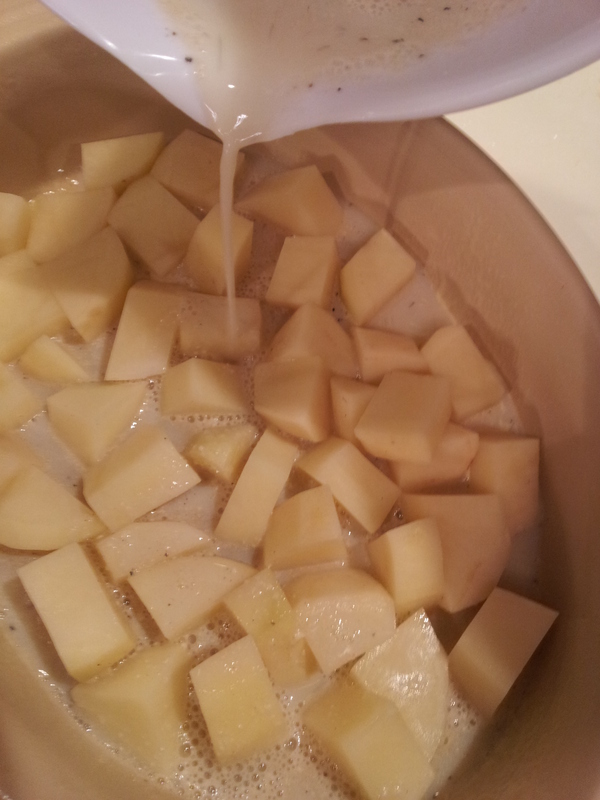 This releases some of the starch so the potatoes don’t steam (aka “sing”) when they are baking. 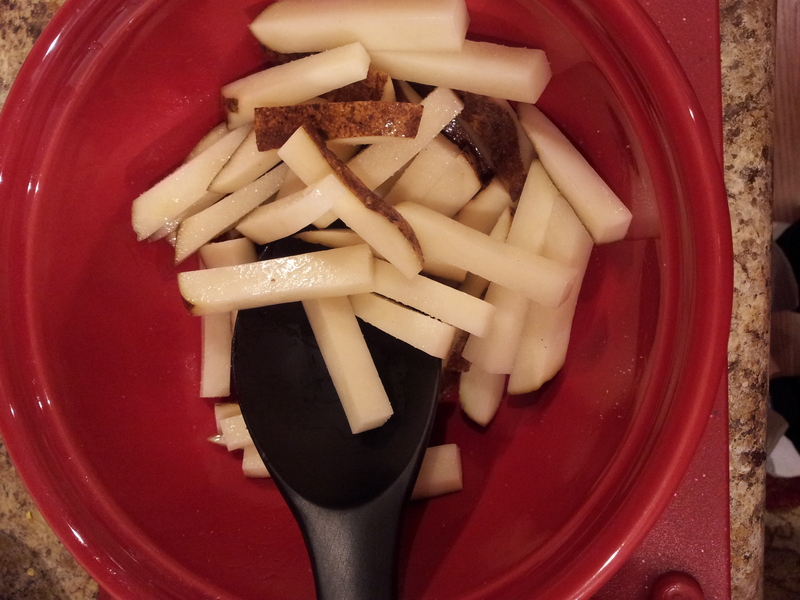 This results in a much more french fry like texture – versus all of the moisture escaping and the fries being dry – or them just cooking very unevenly. After at least 30 minutes of soaking, pat dry with paper towels and return to bowl. Drizzle a very light amount (maybe 1/4 tsp.) or spray with olive oil and toss to coat. 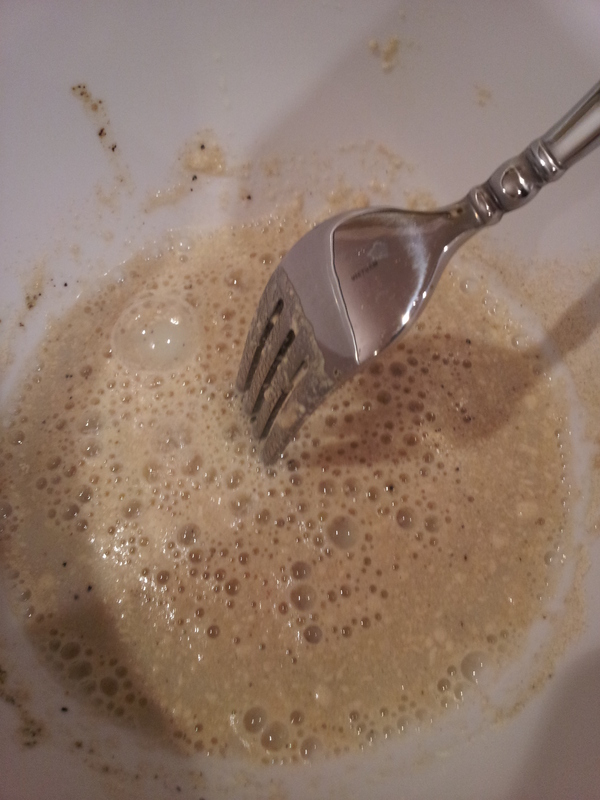 Now, pour about 1 Tbsp. 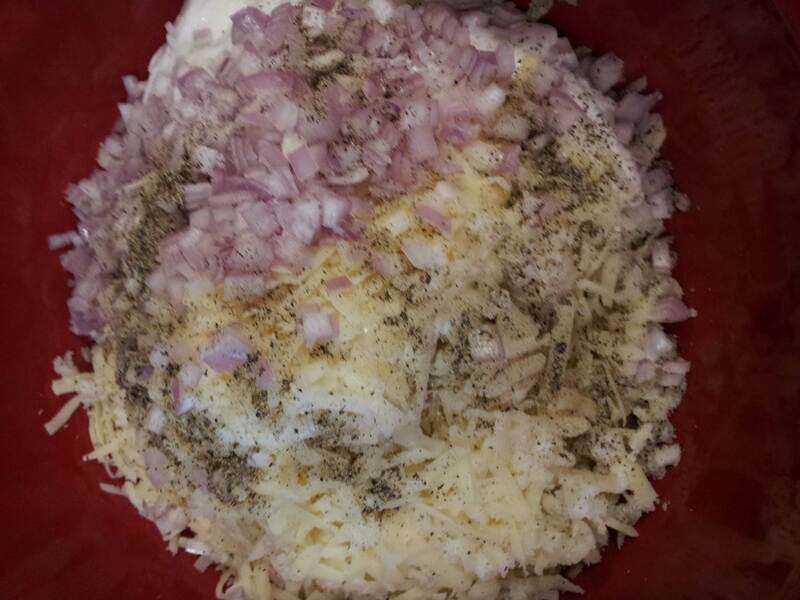 of your ranch mixture onto the fries, tossing again to distribute the seasoning evenly. 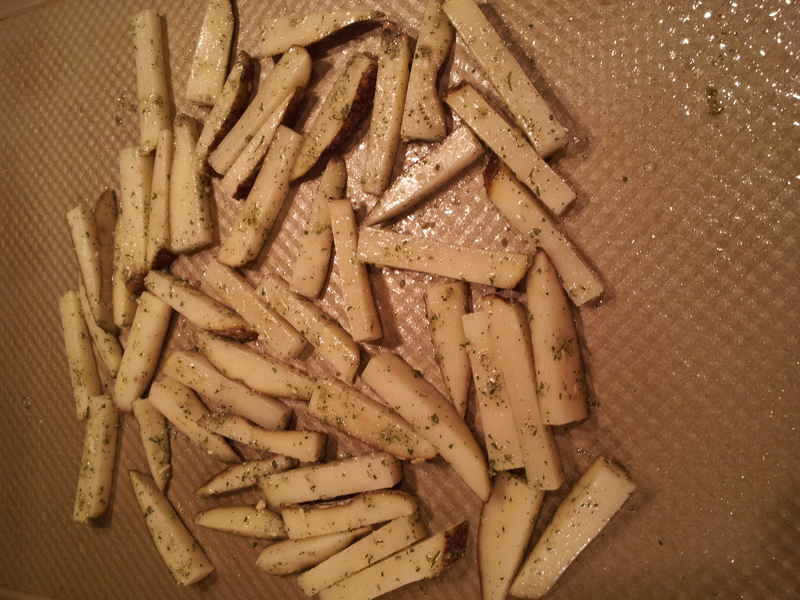 Pour fries out onto a nonstick or lightly greased cookie sheet. Bake 15-20 minutes on lower rack, and flip. Dust remaining 1/2 Tbsp. 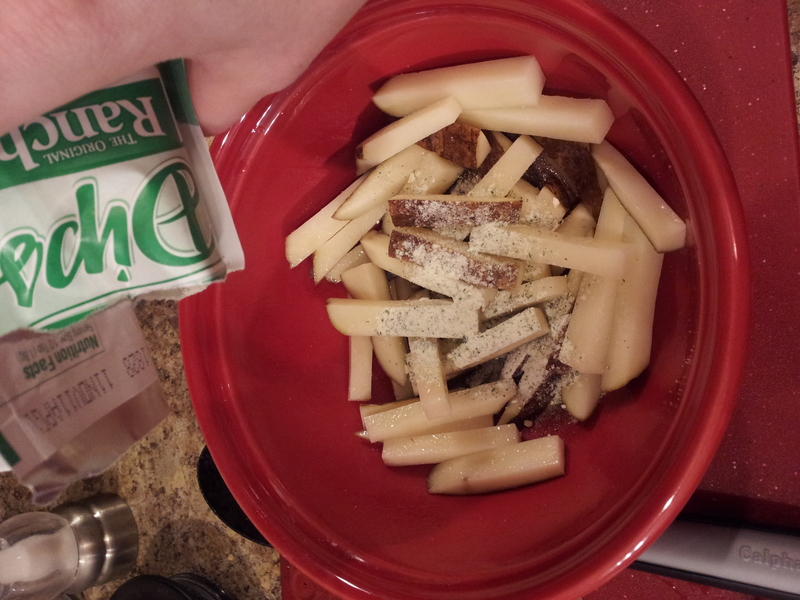 ranch mix on any fries that may need it (some of it slides off with the oil and bakes onto the pan). 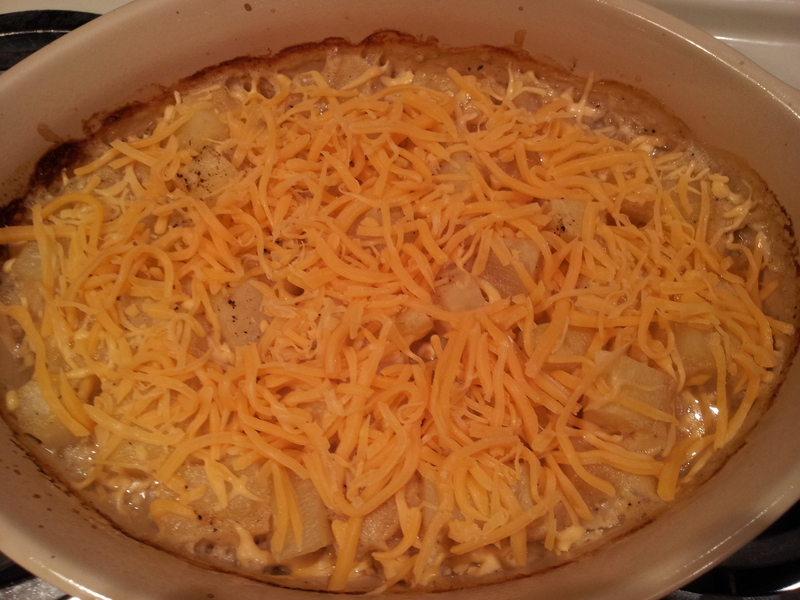 Return to oven for another 15-20 minutes. Remove when fries are cooked through and deliciously crispy. 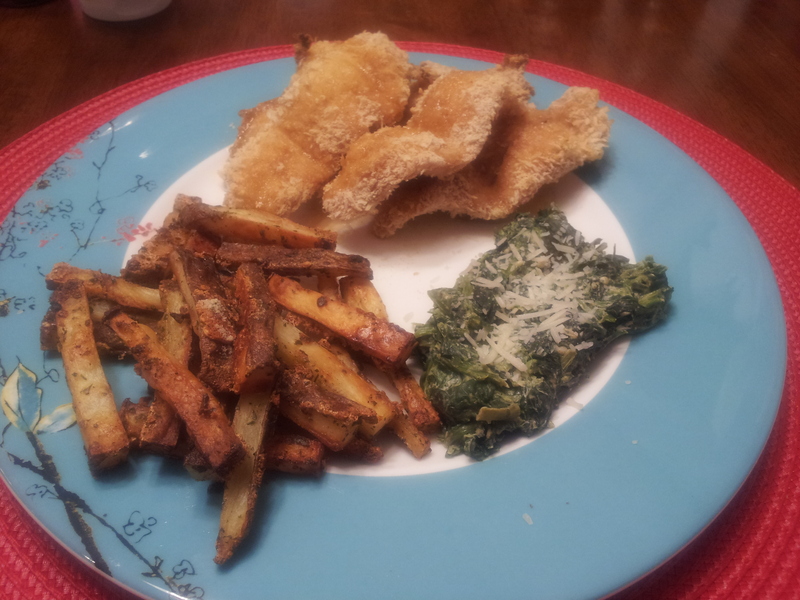 I served mine with come chicken strips (a recipe which I WILL hand over to you soon, don’t you worry) and a cheesy spinach I threw together. See? No need to go to your local fast food establishment to load up on greasy fries – you have some delicious healthy ones right here! 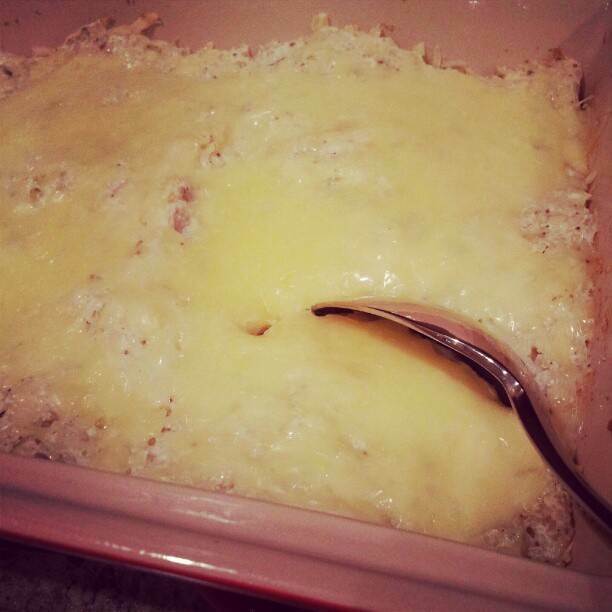 On a side note – if you try any of the recipes I’ve been posting, please leave a comment and let me know how they turn out! I’d love to hear some feedback – including anything you might like to see me try to “lighten up”!